McCabe & Company has represented a wide variety of clients on a number of matters before the California Coastal Commission. The case studies and photos below represent a sample of projects for which we have achieved successful outcomes on behalf of our clients. McCabe & Company represented San Diego Association of Governments and CalTrans in their efforts to gain Coastal Commission approval of a comprehensive 40-year $6 billion program to construct traffic and rail improvements in the north coast corridor of San Diego County. The project proposed adding express lanes on the I-5 freeway, double tracking the rail line and integrating bicycle, pedestrian and habitat improvements spanning 27-miles, six cities and six lagoons. The project required a Public Works Plan and amendments to Local Coastal Programs in six cities. 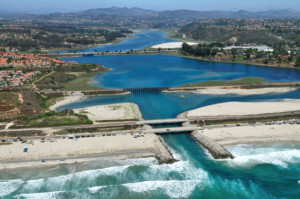 We worked collaboratively with the project’s consulting team, Coastal Commission staff and all of the public agencies involved in the project and received unanimous approval of the staff recommendation in August 2014. 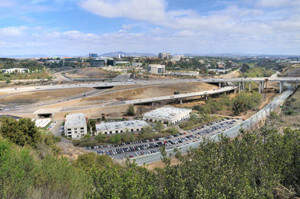 McCabe & Company assisted the property owner in obtaining a site-specific amendment to the City’s Local Coastal Program (LCP) to modify the land use plan and zoning designation from planned commercial-tourist oriented uses to allow residential use on an 11-acre blufftop property known as the “Ventura Triangle”. The primary issue related to changing the land use designation and zoning from a high priority Coastal Act use to a lower priority use. We demonstrated that visitor-serving uses were not feasible on the site due to its lack of visibility, site characteristics and surrounding uses. We worked with Coastal Commission staff to develop an appropriate in-lieu fee to mitigate for the loss of potentially higher priority uses and identified opportunities for providing lower cost camping in local coastal State Parks facilities. The Commission approved the LCP amendment in July 2014. 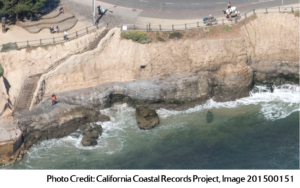 McCabe & Company assisted the property owner gain approval of a coastal development permit (CDP) for bluff stabilization and construction of a seawall to protect a 260-unit apartment community from rapid shoreline erosion and potential bluff failure. The project incorporated work conducted under prior emergency permits issued by the Commission. We worked closely with Commission staff to improve public access and visitor-serving amenities through construction of a public access switchback path and stairway to the beach and a public coastal bluff top trail. In addition, funds were provided for beach nourishment and to create, restore and enhance public recreation and coastal access in the City. The CDP was approved unanimously in August 2013. 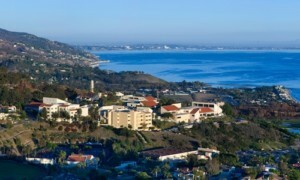 Pepperdine proposed an amendment to its Long Range Development Plan (LRDP) for a 12-year long, phased infill project known as the “Campus Life Project” located within the developed 230-acre, lower campus area of the 830-acre Malibu campus of Pepperdine University. Project elements included new student housing, an athletics/events center, upgraded soccer field, visitor center, recreation area and additional parking. 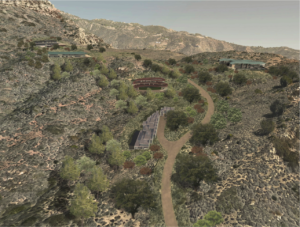 We worked with Coastal Commission staff and the Pepperdine team to address staff concerns about environmental impacts related to the protection of night sky views and minimizing light pollution. The Commission unanimously approved the LRDP amendment in December 2012. McCabe & Company represented the City of Long Beach on a major renovation of the City’s aging public marina facilities in Alamitos Bay. The primary policy issue raised by the project was whether the proposal to increase the ratio of larger boat slips would impact the ability of smaller boat owners to access the marina. We were able to demonstrate that demand for smaller boat slips had decreased over the years and that the proposed project would meet the demand for small boat storage through construction of a new dry dock facility at the marina. Of particular concern to the City was the need for expeditious consideration and permit issuance by the Commission to avoid the loss of time-sensitive project funding from the State Department of Boating and Waterways. We worked with the City to prepare and submit thorough and timely responses to information requests from Commission staff and were successful in expediting consideration by the Commission to meet the funding deadlines. The project received unanimous approval in January 2011. McCabe & Company assisted the Santa Cruz County Redevelopment Agency and Public Works Department obtain a coastal development permit for bluff stabilization designed to protect and enhance public access and recreation improvements along a half mile stretch of East Cliff Drive at the popular surfing and public recreational area known as Pleasure Point. The project allowed for construction of a sculpted seawall with “goat trails” for access to the beach, removal of rip-rap from the beach, and construction of new pedestrian and bike paths, benches, picnic tables, railings, and native landscaping at the top of the bluff. We worked closely with the County and Coastal Commission staff to ensure that the staff recommendation reflected the consensus reached by the many stakeholders including surfers, community members, visitors, and residents. The CDP was approved unanimously in December 2007.